Everybody wants to get the best loans, the best deals as possible. By the way, what does it mean to have the best loan? 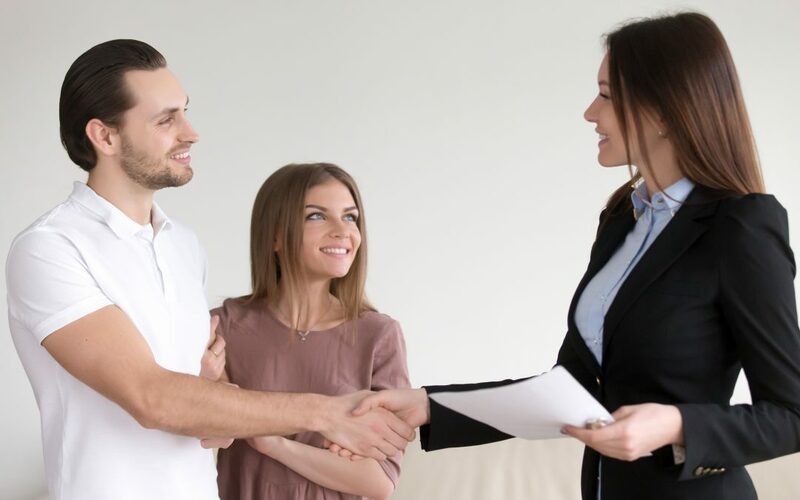 Whether it is for your home renovation or expansion, for a big purchase, for consolidating your existing debts or for emergency expenses, you want to find the best loan that will fit your personal needs. The best loan is often the cheapest loan, which is with the lowest annual percentage rate or APR. The lower the APR, the lower the loan cost is. Whatever your reason is for taking out a loan, it is best that you take the cheapest loan as much as possible. You’re are lucky if you have a high credit rating. The best deals and cheapest loans are often offered to those with good credit. That is why if you want to get a cheap loan, you have to have good credit and maintain it. You also need to keep up with the repayments. Otherwise, your credit score goes down along with your chances of getting the best loan deals. However, if your credit rating isn’t so good, you may still be able to borrow money, but it’ll be at a higher APR. The best loan for me might not be your best loan, as it would depend on your personal needs and circumstances. In the United Kingdom, you’ll find many sorts of loans that cater to different financial needs. The cheapest loan types are the ones that are secured or guaranteed such as home loans, car loans, and guarantor loans. However, you’ll still get the cheapest loan if you have a good credit rating. The number of loan providers in the UK has been increasing dramatically in the past years. From banks to private lending companies, from small and short-term lenders to online lenders, to credit unions, and peer-to-peer lending companies, there is a loan for you. Rates have become competitive among lenders, and this, in turn, gives people a range of choices and chances to get a cheap loan. Most lenders in the UK provide flexible loan terms and other loan features that you can take advantage. Even if you have a bad credit or no credit at all, it cannot stop you from getting a low cost loan. Many lenders in the UK offer loans specifically designed to cater to different credit ratings at competitive rates and affordable terms. How to pick the best loan? The lender’s advertised APR is the very first thing you want to take into account. It has a huge influence on the cost of the loan. Compare the APR offered by different lenders with the amount you intend to borrow. Some lenders don’t charge other fees, only interest. However, other lenders may charge early settlement fees, late payment fees, and other service fees. If there are fees involved, compare them among competitors. Choose lenders who won’t cap their loans at low amounts, and will let you borrow what you need. But, it is important that you only borrow what you need. Never take out a loan that you cannot afford. While some lenders only allow you to choose whether to have a term of three or five years, others offer flexibility and allow shorter or longer term loans. Most major banks have national or even worldwide reach. Online lenders, on the other hand, may have limited scope. Bonus points would definitely go to lenders with a wider reach, as this provides you with more convenience. The best lenders are transparent about their financial products and their features. You can see this on their website. Information such as APRs, loan limits, terms, fees, and other crucial information must be visible on their site. It should be clear where to get these details, and you shouldn’t have to give your personal information in order to see it. Consider each lender’s longevity, customer reviews, and the lender’s status with the authorities. Make sure that the lenders you work with are licensed and authorized. Pay attention to individual reviews, but don’t be biased, as many negative reviews are from prospective borrowers who are unhappy about being denied. When you apply for a loan, determine how much money you need to borrow and how long you want to pay it back. It will be easier for you to compare the rates of different lenders on the same amount you want to borrow. The interest rate on a loan depends greatly on your credit score, so make sure you have a good rating and maintain it that way. Moreover, remember that loans are not just about the APR and interest rates. You must also consider other fees and loan features included in the loan agreement. You want to educate yourself if you want to get the best loan. Be familiar with the types of loans and see which one best suit your financial need. Decide whether you need a short-term loan or a longer-term loan. If you only need a small amount, maybe perhaps using a credit card is cheaper than getting an actual loan. See also whether a secured or guaranteed loan is more viable for you than an unsecured loan. Don’t jump into just any loan offered to you. Compare your options. In order to get the best loan deal, you could try taking some steps to improve your credit score before you apply for a loan. However, if your financial need is an urgent matter, you can still take out a bad credit loan.